Amazon and Google have improved their relationship over the years, with the former now offering a wide selection of Android apps and games on their store. However, Amazon’s devices are still locked in the company’s ecosystem, meaning your Fire tablet can only access the Amazon Appstore and the Google Play Store does not even exist in the device. Of course, the world of Android is founded on customization so today I will show you how to get the Play Store anyway. You will not need to have a rooted device for this to work but you will to connect your tablet to a PC and be prepared to install a couple of things and configure others. You will also need a 5th generation Fire Tablet which is the latest edition in 2015. Some familiarity ADB may also be required though I will try my best to make things as simple as possible. In order for this to work correctly, there are some settings you need to enable in your Fire Tablet. Both of these settings are security risks so make sure to disable them after you are done with the guide. 1. Grab your Fire Tablet, open the Settings and head to the Device Options section. 2. Look for the “Serial Number” item and tap on it around seven times or until you see “Developer Options” appearing just below. 3. Open the Developer Options menu to move on. 4. Look for the “Enable ADB” option and turn it on. Agree to the warning to continue. 5. Go back to the main page of the Settings. 6. Open the Security menu. 7. Enable the “Allow Apps from Unknown Sources” option. This method requires the use of ADB commands, meaning you need to have the appropriate files and drivers in your computer. 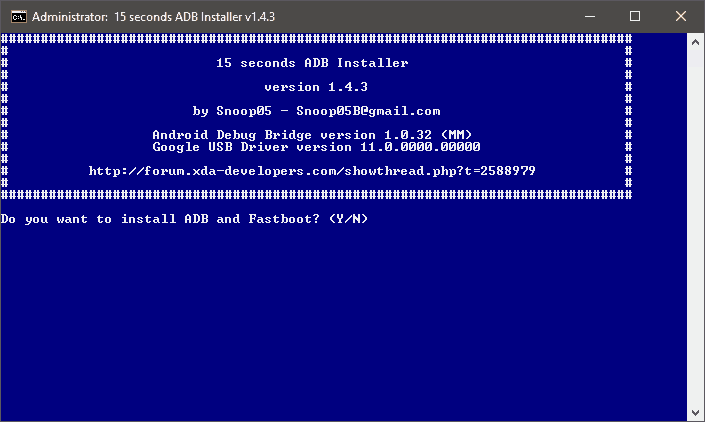 The easiest way to do that is to install everything with the “15 seconds ADB Installer” tool. Just run the tool and type “Y” (without quotes) each time it asks you, making sure to press Enter afterwards. 1. Start by getting the Google USB Driver. 3. 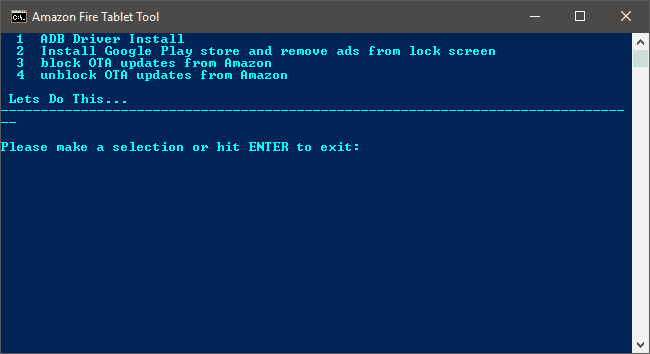 Connect your Amazon Fire Tablet with your PC. 4. Open Device Manager by typing devmgmt.msc into your Start menu and pressing Enter. 5. Look for your Fire device here. If you cannot find it, look under the “Other devices” menu. 6. Right-click on the Fire device and select Properties. 8. Select the option that reads “Browse my computer for driver software” and then “Let me pick from a list of device drivers on my computer”. 9. 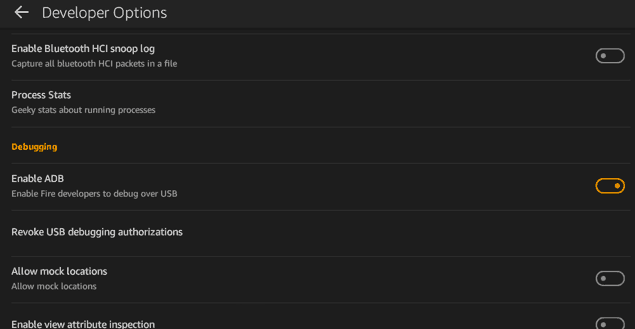 Select the “Have Disk” option, click on Browse and find the “usb-driver” folder you extracted during step 2. 10. Click on OK and then Next to get a list of drivers. Select the “Android Composite ADB Interface” item and click on Next one final time. Windows may warn you about driver incompatibility but you should ust ignore it. Your phone and PC should both be ready by now so go ahead and download the required files from RootJunky. You need the “Amazon-Fire-5th-Gen-Install-Play-Store.zip” file but feel free to poke around the website a bit more if you want. What that ZIP archive contains is a script that will install everything for you and also set permissions automatically. Technically, anyone can download and install the Google Play Store on their Fire device but permissions can only be set by ADB anyway so the script is the best method, by far. 1. Take the ZIP file you downloaded and extract its contents anywhere in your PC. 2. Connect your Fire Tablet to your PC and unlock it. 3. Double click on the “1-Install-Play-Store.bat” file to run it. 4. Provided that your Fire Tablet is unlocked, you should get a request to “Allow USB debugging” so confirm it to continue. If the PC is not yours, you may want to uncheck the option to “Always allow from this computer”. Should the request not appear, close the CMD window and run the previous file again. 5. After you confirm the request, the Amazon Fire Tablet Tool will ask you to make a selection. Typing “1” will install the drivers but we have already completed that step so type “2” instead and press Enter to continue. 6. The script will install everything automatically and the only thing you need to do is restart your Fire Tablet. 7. When your device boots up again, remember to disable the settings we talked about before. 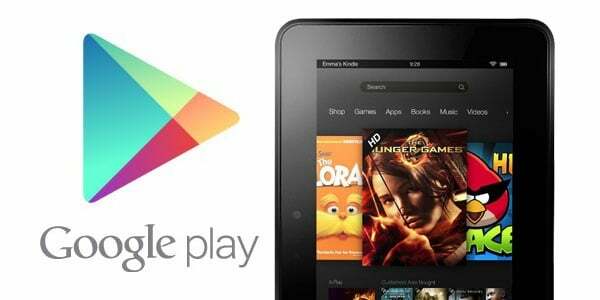 Both the Play Store and the Google Settings app should be available in your tablet’s home screen. Everything should work exactly like it does in a standard Android device though you may experience some issues during the first 10 minutes until the Google Play Store and Services complete their background updates. The original XDA thread should provide answers to most of your questions but feel free to drop a comment down below or visit the forum and ask anything.